We hope that you are enjoying our website. We hope this page answers some of the initial questions you may have. We are always looking for better ways to serve our church community and the community at large. If you need any further assistance, please phone the parish office. Everyone can use more prayer. Anyone, regardless of age, can request prayer of any purpose - spiritual, physical, emotional health, loss of a loved one or family problems. To activate the Prayer Tree call the Parish Office at 585-247-4322 with the person’s first name and a brief description of the need. Soon many more people will be praying for your concern. 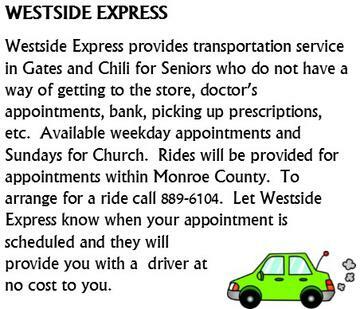 Anyone who would like to be a part of this ministry, please call Debbie Sumner at ext. 107. Holy Ghost: First Saturday of the month 3:30-4:30PM or by appointment. St. Helen: Saturday at 3:15 - 3:45PM or by appointment. St Jude: Second through fifth Saturday of the month 3:30-4:30PM or by appointment. required. To register, contact the Parish Office. Marriage To be married at one of our three worship sites please contact the Parish Office at least six to nine months before the date you want to be married. RCIA If you are interested in wanting to know more about the Catholic Faith or becoming Catholic contact the Parish Office. What is ACH? ACH is an agreement to have funds electronically moved from your bank to The Parish of the Holy Family's account at St. Pius X Federal Credit Union. You have the convenience of not writing checks. You do not have to change banks and there is no charte for this ACH set up. Save time, save paper and sign up today! Just click on the picture above, fill out the form and you will see the transfer on your monthly statement. HUNGRY adjective - (NEEDING FOOD) Wanting or ​needing ​food: By four o'clock I ​felt/was really hungry. The ​children are always hungry when they get ​home from ​school. There are too many hungry ​people (= ​people without enough to ​eat) in the ​world. Many families have difficulties making ends meet. During this time, it is nice to know there is somewhere to turn. We assist families that live in the 14606 and 14624 zip code areas only. When applying for food the first time you must bring proof of address with you. Only the members in your immediate family. Food is given out to an indvidual or family ONCE a month. We only supply shelf food and personal items. 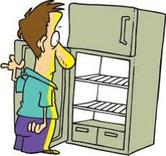 We do not have the capabilty to store any dairy, fresh or frozen goods.